Preparing your home for two adults is one thing, but preparing it for kids is another. When it comes to the furniture and fixtures in your living space, you’ll need to take a different approach and reassess what you need to buy. Having little ones in your home means giving up your style, right? Well, not necessarily. From paint and flooring to furniture, we can help you create a gorgeous, kid-friendly home in just a few steps. As you decorate your home for kids, you may be tempted to buy the cheapest furniture. After all, your little ones are bound to use your couches as springboards and your chairs as their personal easels, aren’t they? However, quality is an important factor to consider before you purchase furniture for your home. What’s going to last throughout their childhoods? What’s going to continue to look like new year after year? What’s going to stay sturdy, keeping you kids safe as they jump and flop around? It’s best to go with well-made pieces—and you’ll save money, because you won’t have to replace these items over the years. You can always spend on upholstery now and re-upholster it down the road, which is still cheaper than buying something totally new. It’s inevitable: your child is going to bump into a corner. To lessen the pain and the damage, ditch the sharp corners. When you select kid-friendly coffee tables and dining tables with rounded edges, you can reduce the severity of injuries. Plus, curvy furniture pieces are more inviting and become the focal points of a room. They’re visually calming for both adults and children alike because they offset harsh edges from other furnishings. Plus, if you add these pieces to a room, they’ll make the space feel less boxy. 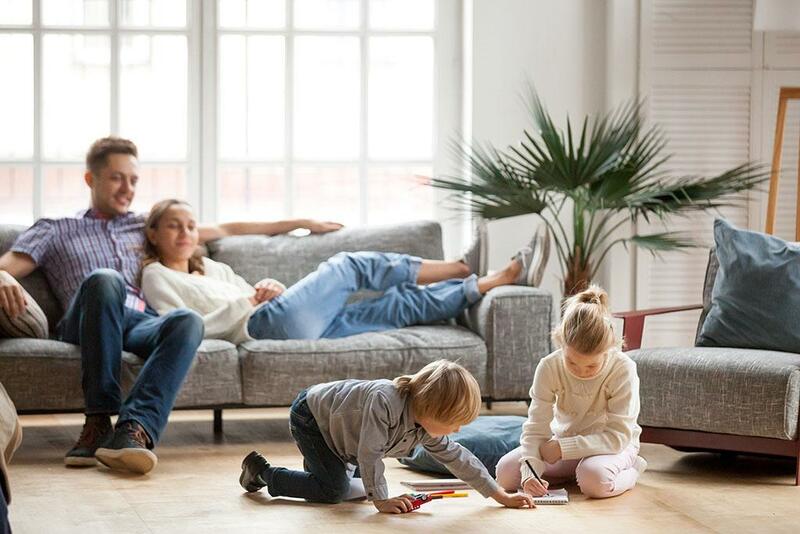 The couch is a place everyone enjoys, so you’ll need to find one that is easy for adults to care for and comfortable enough for the kids. Look for a sectional sofa with fabric that can withstand anything, from sticky fingers to scuff marks from shoes. Try to find something heavy with a flat weave; thin fabrics are prone to snags, and stains will penetrate deep into these fabrics quicker. Cotton, vinyl, canvas, and Sunbrella are perfect solutions, because they wear well. Outdoor furniture can also work beautifully indoors. If you can’t resist a specific couch that features a lighter fabric, that’s okay. Just be sure to use a washable slipcover. For a sumptuous look, you can buy protected leather furniture. With its durable coating, protected leather wipes clean with a microfiber cloth, and it looks and feels luxurious. Also, even if the kids scratch up the leather, the marks add to its character. Couches with skirts attract dust and hair, so be sure to forego these, especially if you have children and pets. Furthermore, when it comes to your couch’s cushions, look for down or foam cushions, which easily go back to their original shape. If you can, select cushions with removable covers, so you can simply toss them in the wash if you see any stains. If you’re furnishing a bedroom or game room, another fun option is a beanbag—kids can flop onto them without worries. Yes, storage can look chic. You don’t have to be embarrassed by your clutter or the contraptions you’re using to store these things. In today’s stores, you’re certain to find something that accommodates all of your kids’ toys. Consider including fun storage units that act as double-duty pieces, such as ottomans with lift-up lids, bookcases with bins, and storage benches and trunks. These “secret” storage solutions allow you to get creative with how you store kids’ belongings. However, be sure the storage isn’t complicated; your kids will be less likely to use more difficult options. It’s better for them to have the freedom to take out their toys and put them away whenever they want. Paint is one of the best ways to create a fresh, exciting space. Whether you wish to paint your child’s room or a play area, color brings the décor and furniture pieces together. If your family members have chemical sensitivities, or even if they just can’t handle the smell of paint fumes, this type of low- or zero-VOC (volatile organic compound) paint is an ideal alternative to traditional paints. One health-focused brand we recommend is ECOS Paints. They offer an incredible line of high-quality paints that are durable and free of harmful ingredients. Plus, they provide plenty of coverage, so your walls will look their best. Embrace some color in your home—and with fewer toxins indoors, your family can live healthfully. After you’ve finished painting, add your family’s favorite wall art or your kids’ masterpieces, and your space will look incredible. While carpeting is soft, it attracts bacteria, dirt, and more. 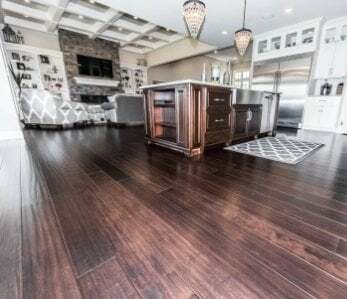 Hard flooring, on the other hand, is a cleaner choice for families, and bamboo hardwood flooring has become increasingly popular. Available in a variety of colors and styles, it’s the perfect eco-friendly alternative to wood. 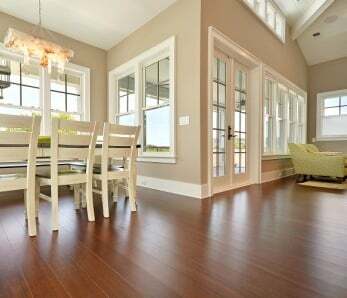 Bamboo flooring not only looks beautiful and distinctive, but it’s very forgiving. Because of its toughness, you can use bamboo anywhere in your home and know it’ll stand up to kids and pets. 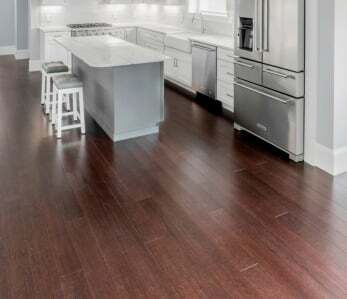 It offers impressive spill protection and it’s easy to clean, so you don’t have to worry about allergen or dirt buildup on your floors. 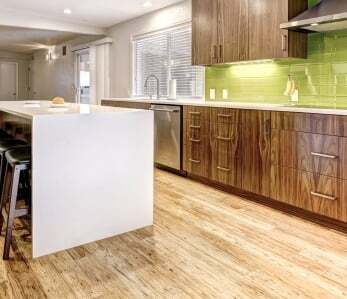 Ambient’s bamboo flooring meets indoor air standards, so you can feel good about . We carry products that ensure your family’s peace of mind. 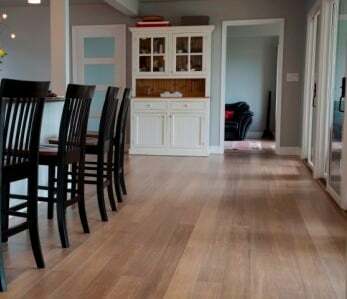 In fact, we’ve been the homeowners’ choice for hardwood eucalyptus and bamboo floors since 2005. When it comes to creating a kid-friendly home, the key is to decorate accordingly; you’re going for a safe, low-maintenance environment, but that can certainly still be stylish. As you decorate your home for kids, you can create multi-functional rooms that look fabulous while you prevent stains and keep your kids from harm.